Hand sewing has become a thing of the past. Apart from a few craft advocates and purists, sewing has evolved along with the rest of technology. Sewing machine reviews are easily attainable and one can check online for the best sewing machine that is most suited for one’s needs whether it be for personal or commercial purposes. At the present, almost everything we wear is assembled by a sewing machine. Conceptualized and invented in the 19th century by a number of men from various countries including France, England and Austria in different years, the sewing machine was formally patented in the United States of America by a Massachusetts farmer named Elias Howe. Essentially, what Howe created was a machine that stitched automatically and speed up the sewing process. The machine soon caught up with the rest of the country and produced a diversity of manufacturers including Singer, Grover & Baker and Wheeler & Wilson. From the first prototypes came forth the classic design for the mechanical sewing machine. These were soon installed with motors and ran on electricity. As of today, there is a massive assortment of types and brands of sewing machines. Sewing machine reviews are all the rave nowadays and before you purchase one it is best to know what you are getting into. This is the same model my grandmother had. Also known as manual sewing machines, these archaic models are worked by hand and foot. As you pedal, the needle bobs up and down to stitch fabrics and other materials together. A defining characteristic of the mechanical type is its rotary wheel where thread tension, stitch width and length are adjustable through a moving a dial. Powered by electricity, this type of sewing machine still maintains the pedal but can work faster with less effort. There is also an absence of the rotary wheel and adjustments with the thread and stitching are done in other areas of the machine by just the push of a button. The most common kind of sewing machine, electric models also include features such as different stitching patterns and embroidery. According to sewing machine reviews, these can run on a number of motors. A more advanced form of the traditional sewing machines, computerized versions use multiple motors and memory features to create a repetitive stitching sequence on the fabric. Computerized sewing machines will either use memory disks for stitching patterns while the newer models can be directly attached to a PC or laptop to download patterns from the internet. Some units of the computerized type are designed for complex embroidery patterns and deliver beautiful products. Most of the modern types of machines seen on sewing machine reviews are computerized types complete with various features and a smart mother board. 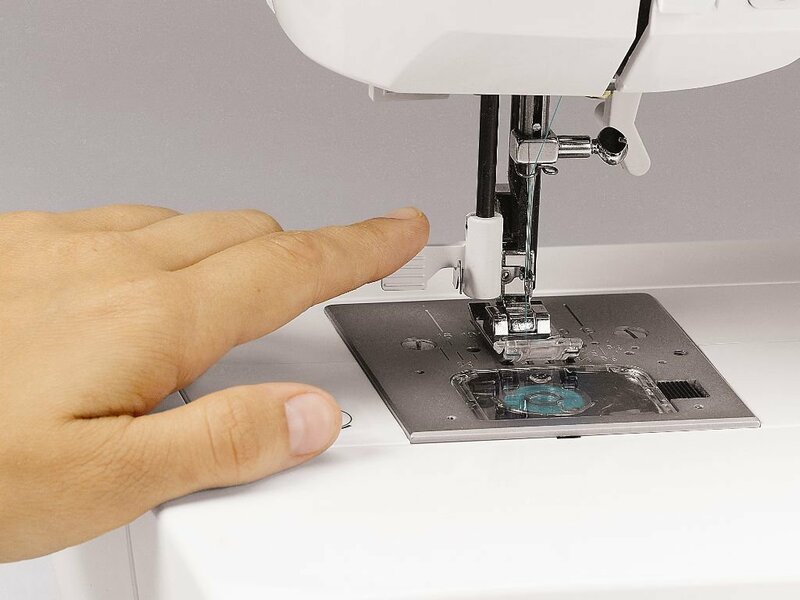 Computerized sewing machines have become the go-to for both professionals and even amateurs. With countless features, these models are designed for all types of fabrics and of course, make sewing a breeze. Below are some sewing machine reviews of the most popular products and those considered as the best sewing machines in the market at the present. Built-in with 100 heirloom and decorative stitches, the Brother XR9500PRW also includes various functions for each stitch chosen (a total of 140 functions). Zigzag and decorative stitches include a super wide version that goes up to 7mm. The Brother XR9500PRW also allows its users to achieve basic monogramming with a built-in sewing font. Along with an oversized wide quilting table, the unit can take on larger projects using various fabrics. The XR9500PRW as one of the best sewing machines according to sewing machine reviews includes a number of essential accessories including a Buttonhole foot, a Zigzag foot, a Zipper foot, a Button Sewing foot, an Overcasting foot, a Blindstitch foot, and a Monogramming foot, a needle set, a bobbin, a screw driver, a foot controller and more. According to sewing machine reviews, the machine is very easy to use. With an easy to use bobbin winding and needle threading system, the Brother XR9500PRW saves its users time and effort﻿ that could be put into the actual sewing process. The built-in 100 stitches and 140 stitch functions may seem overwhelming at first but allows a great variety of styles produced. The machine is also durable enough to take on larger projects including quilting and upholstery and keeps the sewing simple with just a flip of a few switches. The brightly lit LED background light also provides ample brightness to the work area. 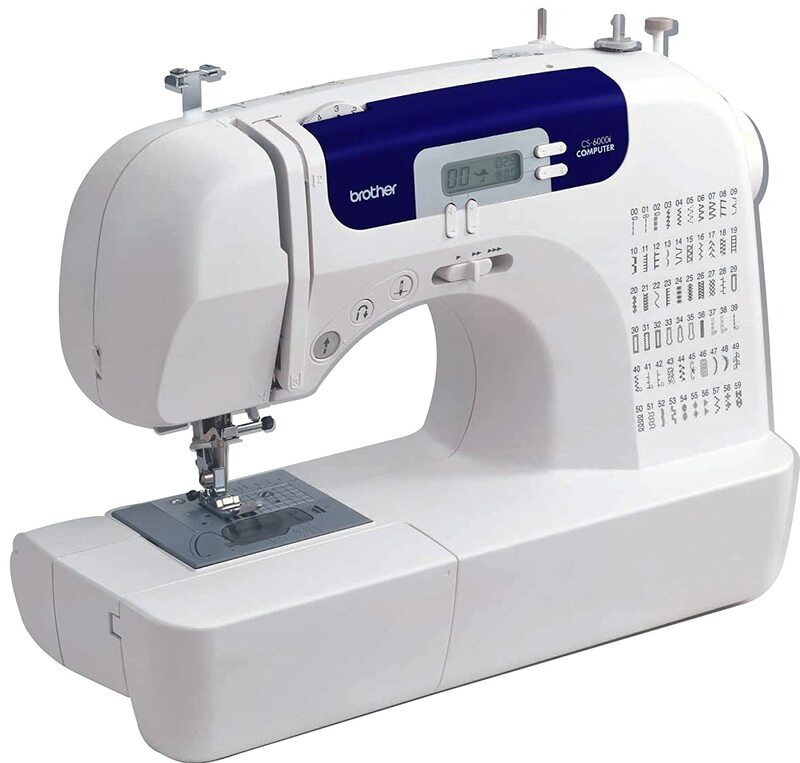 Delivered with an instruction manual and an instructional DVD, the Brother XR9500PRW is fairly simple to set up thus its reputation as one of the best sewing machines out in the market now. One main downside to the Brother XR9500PRW is its lack of a spool cover. Because of this, the spool of thread rattles constantly and leaves a nervousness to the user. According to a few sewing machine reviews, the thread would come out of the thread tension spring. Also, it is best not to toy with the tension of the machine. This could do much damage to the way it operates. Another downside is its strict requirement for a 120V AC to operate and is still a no-no to plug elsewhere even with the help of an adapter. Affordable and easy to use, comes with multiple features to make sewing a pleasurable experience for everyone. 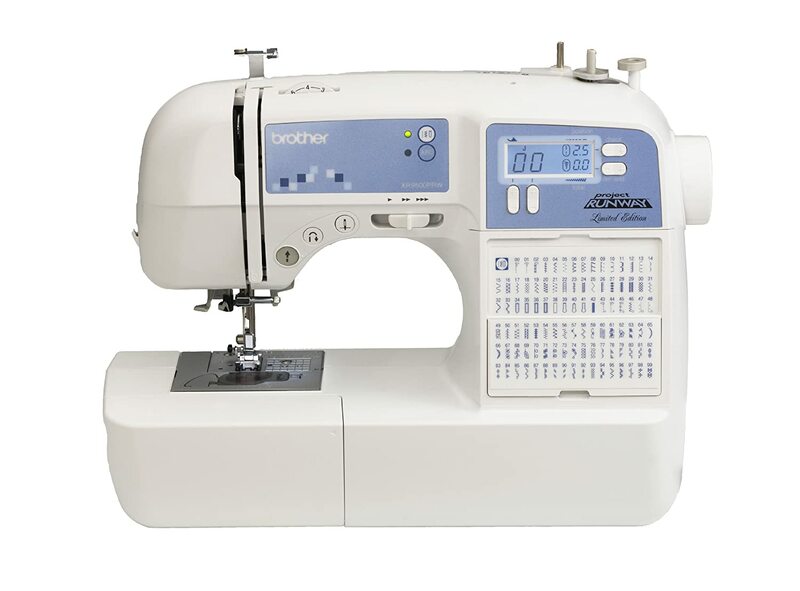 With 60 built-in stitches including decorative stitches and 7 one-step button holes, the Brother CS6000i showcases all these in a LCD display screen which allows the user to select the stitch desired. Fit in with an automatic needle threader via lever and a numbered diagram printed on the best sewing machine, the threading process becomes an ease and saves the user time from fumbling with the needle hole. According to a number of sewing machine reviews, other great features of the Brother CS6000i are an oversized table and a well-lit work area for darker fabrics. The greatest element of the Brother CS6000i truly is its simplicity and ease of use. Without the complications, according to sewing machine reviews, even an amateur can operate it. With printed diagrams around the machine demonstrating the thread’s placement, threading the spool and winding the bobbin becomes effortless. The portable and lightweight design of the Brother CS6000i is also ergonomic. With a wide table and an integrated arm, machine can take on a variety of projects from quilting to sewing sleeves. The LCD screen is simple enough to understand and controls the stitch designs through the press of a button. 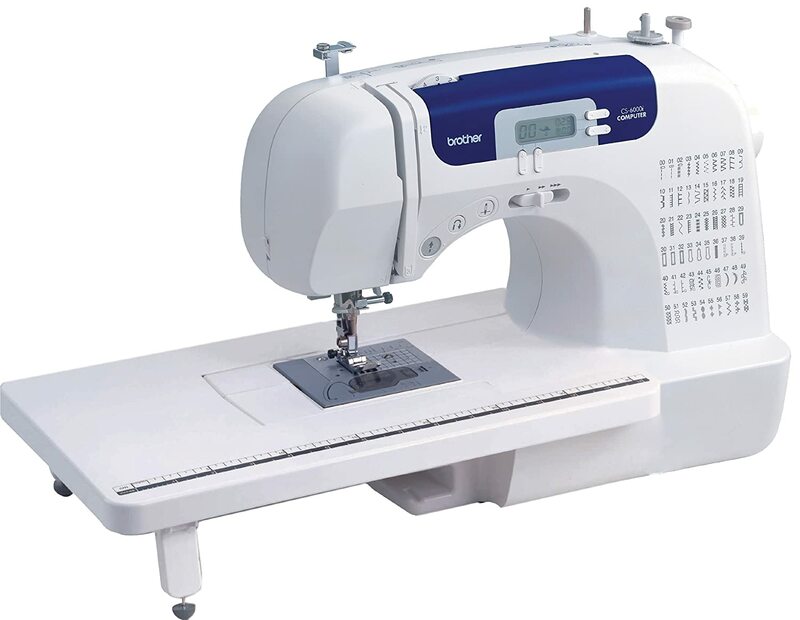 With over 60 built-in stitches and an adjustable sewing speed without the need of a foot pedal, the Brother CS6000i is a versatile machine that can complement any sewing needs. The machine also comes with a hefty number of accessories including a buttonhole foot, an overcasting foot, a zipper foot and the like. One issue of the Brother CS6000i, based on sewing machine reviews is its tendency to move around during operation. Due to its plastic parts and frame, the best sewing machine is lighter than most mechanical and electric types and tends to shift positions because of the inevitable vibrations when in use. However, this can be easily reme died with a rubber mat or covering on the surface of where you will be sewing. Also, comments on the thread bunching up can be quite common with the machine. This is because the Brother CS6000i is sensitive to the type of thread used both on the top of the machine and the one in the bobbin. These must be identical or at least very similar to keep the machine operating smoothly. Having been over a century and a half in the industry, Singer has kept up with the present technology and has produced a slew of the best sewing machines. 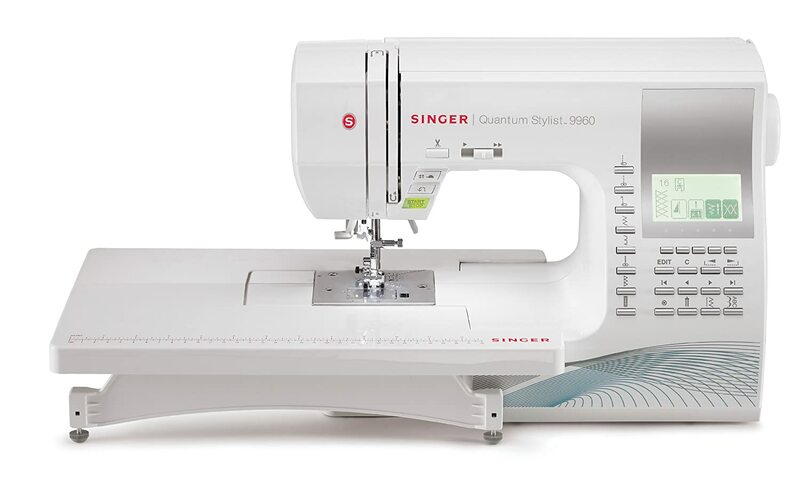 One of them, the Singer 9960 Quantum Stylist has been receiving great feedback from sewing machine reviews everywhere. With a heavy duty metal interior frame, the machine is durable. With 600 built-in stitches with 13 one-step button holes and 5 fonts, the Singer 9960 Quantum Stylist is considered one of the best sewing machines because of its endless project possibilities. Based on a crystal clear LCD display backdrop, choosing stitches is as simple as a click of a button. The machine comes with a number of useful features including an extension table, drop-in bobbin system, 18 presser feet and other accessories. A sturdy metal interior allows for a more stable operation when sewing and lessens the instances of the machine moving about. However, the main pro of the Singer 9960 Quantum Stylist is its versatility and ease of use. There are no superfluous features and its design is such that each part is very functional. Different types of stitches can service a diversity of projects including heavier fabrics and complicated embroidery, all this with just a press of a button and shown on the LCD display. Also, the automatic needle threader is a time saver when working. 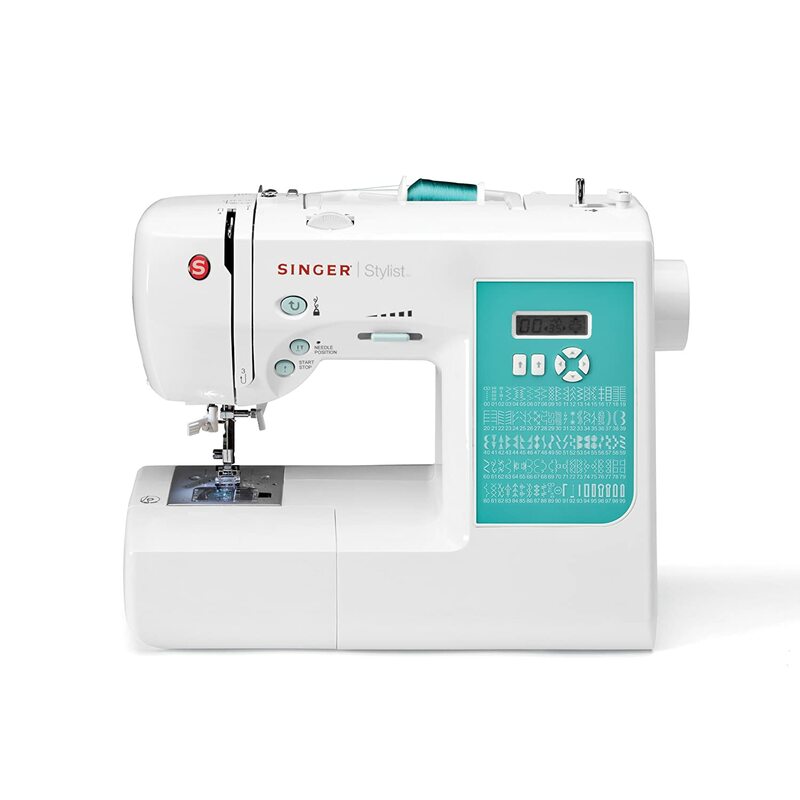 According to sewing machine reviews, a unique feature of the Singer 9960 Quantum Stylist is its top drop-in bobbin system that eliminates the hassle of installing the bobbin from under the machine. This also has a clear cover which allows the user to monitor the bobbin while sewing. Unfortunately, Singer as a company has a reputation for bad customer service so it is imperative that you read and understand the instruction manual thoroughly before using it or else risk a user error that can be a nightmare to repair. However, there are a few things to keep in mind with the Singer 9960 Quantum Stylist. First, it is important to use quality cotton thread with this machine, not the cheaper thin ones that easily break. Second, you must be sure to plug in the machine in a fuse all on its own. Apparently, sharing it with another bigger appliance such as a fridge can cause the sewing machine to blow a fuse. A quick look on the sewing machine reviews of this product will enlighten you with the whatnots and what not to do with the unit. The Singer 7258 is a high-end machine made ﻿simple to use. 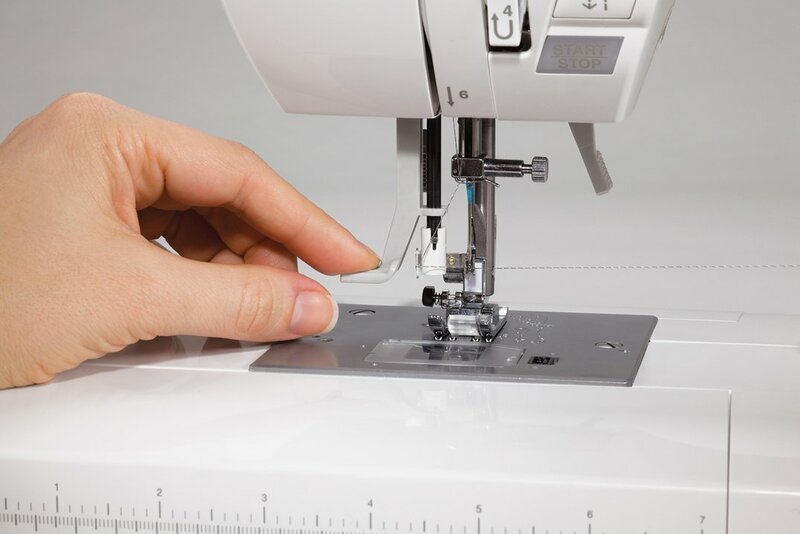 Built in with ﻿100 stitches﻿ to choose from including 10 kinds of presser feet, the best sewing machine is meant for various projects such as crafting, sewing and quilting. Apart from style, the LED display also allows users to choose from stitch length and width. Printed on the machine is a diagram that guides the user with the threading process up to the automatic needle threader which allows the user to thread the Singer 7258 in 10 seconds or less. Designed with an auto pilot feature, the machine can work straight without a foot pedal. Another signature characteristic of the newer Singer models is its drop-in bobbin system with a clear cover that eases the installation of the bobbin and allows for easier monitoring of the bobbin while in use. Highly efficient and simple to operate, the Singer 7258 is perfect for both amateurs and professionals, while the 100 stitch styles and variation in width and length offers a boundless possibilities for different types of projects. The included presser feet also make sewing various fabrics and patterns an ease. Automatic tension and programmable up/down motion of the needle ensures that the fabric is properly stretched and stitched. The threading process both at the top of the machine and at the bobbin system is simple enough with the drop-in bobbin area and the automatic needle threader. The sewing machine is also reportedly quiet when in operation with a minimal amount of vibrations. And lastly, the StayBright led light feature keeps the work space bright without the bulb overheating. According to sewing machine reviews, the Singer 7258 can encounter a number of system errors especially with the top thread tension and the bobbin winding system if the thread is improperly installed. Fortunately, a quick search online can show the user how to remedy this problem. It is vital that you read and understand the set-up manual prior to actual use to avoid any mishaps. Another letdown is also Singer’s terrible customer service and limited service areas. Great for the beginner or intermediate seamstress. Although some still prefer hand sewing, using a sewing machine really does have its fair share of advantages. However, sewing one or two buttons on a uniform and other simple repairs may be easier when done by hand. This said, sewing machines become handy with alterations and garment production. The onset of the sewing machine brought a whole new level to tailoring. Because hand sewing clothes took more time and required more manpower, it was a tedious craft. Tailored and bespoke garments such as coats and gowns that were once limited to the expert hands of a tailor were now mass produced and thus, became more affordable for the majority. More than just mass producing all kinds of garments based on patterned fabrics, sewing with a machine also allowed alterations to become faster and more precise. The clothes being produced by machines increased dramatically and more styles were able to be explored. Owners of the best sewing machine will discover that they can save money machine stitching their clothes instead of constantly buying branded goods. Baby clothes and blankets are fairly easy to sew especially with a good machine and is less pricey than purchasing at Carter’s or Baby GAP. Also, alterations and repairs with you and your children’s clothes are easier to tackle with a sewing machine at home. The best sewing machines are not necessarily the most high tech ones. Variations in the make-up of the machine allow the user to choose from an array of types depending on the purpose and price range. While older, manual machines are cheaper and easily controllable, electronic and computerized types offer a plethora of features that can be achieved easily. Do your research and check online sewing machine reviews, and you can easily find the best kind that will suit your needs and fit your budget.